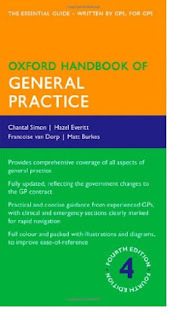 Fully revised to reflect the new changes to the GP contract and the GP curriculum, this fourth edition of the best-selling Oxford Handbook of General Practice is a practical guide to all aspects of general practice; from vital clinical information, to valuable practical guidance from experienced GPs. This is the essential guide for all those working in general practice. Comprehensively covering everything a doctor needs to work in, or manage a GP practice, this handbook ensures readers are always up-to-date with the latest guidelines, the most recent protocols, and cutting-edge clinical information. With concise, bullet-point information the chapters are now colour-coded to ensure the reader can find vital emergency or clinical information without delay. Fully illustrated, and packed with even more figures, diagrams, management boxes, and tables to improve ease-of-reference, the reader will always have the vital information they need at their fingertips.